I recently joined Goodreads and have been trying to figure it all out! I am enjoying some of the opportunities it presents for authors. One of which is the option to do a giveaway of your book. The giveaway is put out to lots of Goodreads members and is great publicity. I was a little skeptical of what the results would be, but I decided to give it a try by giving away one copy of Rustlers and the Texas Trail. I thought I might get like 20 people to enter....instead, I got 547 participants!!! Wow! I guess it really works! 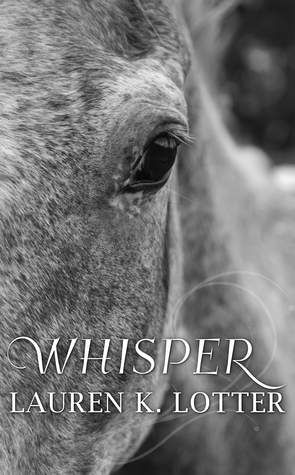 So, since that went so well, I decided to do it again, this time with two copies of Whisper! This giveaway is now live and will end on February 21st! Giveaway ends February 21, 2015. Nice idea - I enjoy giving stuff away. Through facebook I have a giveaway and it is neat to hear the winner's reaction. May this also help get your book advertised so that others will buy it.